Sterling silver peace symbol crafted exclusively for PEACE PLEASE. Use your own chain or cord or click on the links above if you need one. 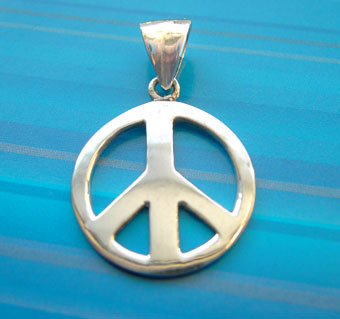 Whichever way you go, this unisex pendant sends out the message that the bearer is for peace....wear it well!